Most individual investors invest in dividend-paying stocks to benefit from the steady streams of dividend checks, but can also take advantage of stock price appreciation as well. However, one should bear in mind that dividend-paying stocks tend to act as a supplement for bonds. The odds of the Federal Reserve raising interest rates this year are relatively high, which could put some downward pressure on dividend stocks. The reason this may happen is because the fixed-income asset class will become more attractive when interest rates rise, so investors may decide to unload their dividend-paying holdings. Even so, it might take quite some time until fixed-income investments become more attractive than dividend-paying stocks, which means that they are still an attractive investment in the forthcoming future. 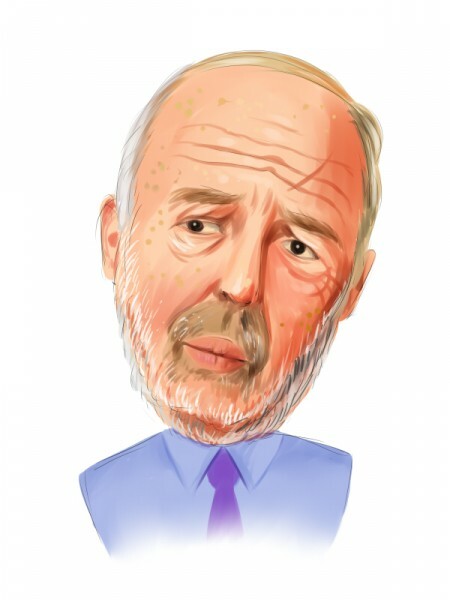 Billionaire hedge fund Renaissance Technologies LLC, founded by “Quant King” Jim Simons, reecently has submitted its 13F filing for the third quarter with the U.S. Securities and Exchange Commission. Hence, the following article will lay out the top dividend-paying stocks owned by Renaissance at the end of the September quarter. Renaissance Technologies lifted its position in Novartis AG (ADR) (NYSE:NVS) by 495,800 shares during the third quarter, which accounted for 0.37% of its entire portfolio on September 30. The Switzerland-based healthcare company pays out an annualized dividend of $2.8169 per share, which generates a current dividend yield of 3.24%. In fact, the company has increased its dividend per share each year since its inception back in 1996. Meanwhile, the stock is down nearly 7% year-to-date, and is currently trading at a reasonable trailing price-to-earnings ratio of 21.84. This compares with a trailing P/E of 22.70 for the companies included in the S&P 500. Ken Fisher’s Fisher Asset Management reported owning 6.13 million shares in Novartis AG (ADR) (NYSE:NVS) through the 13F filing for the September quarter. The multi-billion dollar hedge fund upped its holdings in AbbVie Inc. (NYSE:ABBV) by a whopping 2.93 million shares during the September quarter, as it owned a mere 8,200 shares as of June 30. The research-based biopharmaceutical company recently announced that its Board of Directors declared a quarterly cash dividend of $0.57 per share, up from $0.51 per share paid in the previous quarter. It is also worth mentioning that AbbVie has increased its dividend by more than 42% since the company became independent in 2013. The freshly-upped quarterly dividend generates a current dividend yield of 3.39%. At the same time, several analysts at well-known financial services firms recently asserted their confidence in the company’s long-term outlook, which includes strong sales growth of its flagship product Humira. Meanwhile, the shares of AbbVie are 8% in the red year-to-date, after jumping 24% since the company released its strong third-quarter financial results. Samuel Isaly’s Orbimed Advisors owns 6.94 million shares in AbbVie Inc. (NYSE:ABBV) as of September 30.